Augmented reality—the ability to superimpose virtual data onto real-world environments—is appealing in theory, but typical head-mounted displays have the subtlety of a sledgehammer to your forehead. Vusix, a video-eyewear company from Rochester, NY, has invented an electronic headset that looks—and works—like a pair of designer sunglasses. Unveiled at the Consumer Electronics Show in Las Vegas this week, the Internet-connected “Smart” device uses holographic film to serve interactive content right before your eyes. Besides changing the way you work and play, not to mention interact with your assorted gadgets, the Smart also has potential applications in military ops, emergency response, and disaster management. Featuring a sleek wraparound design, the Smart can be used indoors or out, at night or in full daylight. 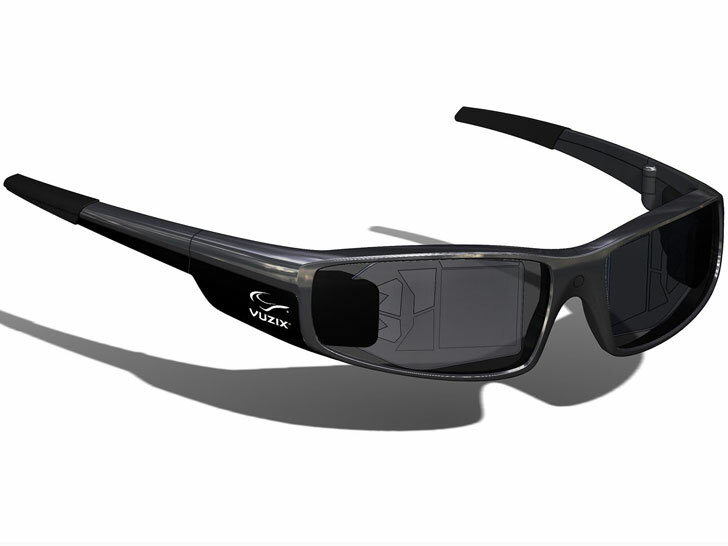 Thanks to licensing from Nokia, Vuzix says the glasses are able to offer portability and visual quality while meeting the demands in mobility, thermal sighting systems, tactical wearable displays, and virtual reality. Featuring a sleek wraparound design, the Smart can be used indoors or out, at night or in full daylight. Augmented reality�the ability to superimpose virtual data onto real-world environments�is appealing in theory, but typical head-mounted displays have the subtlety of a sledgehammer to your forehead. Vusix, a video-eyewear company from Rochester, NY, has invented an electronic headset that looks�and works�like a pair of designer sunglasses. Unveiled at the Consumer Electronics Show in Las Vegas this week, the Internet-connected "Smart" device uses holographic film to serve interactive content right before your eyes. Besides changing the way you work and play, not to mention interact with your assorted gadgets, the Smart also has potential applications in military ops, emergency response, and disaster management.